I love my family. 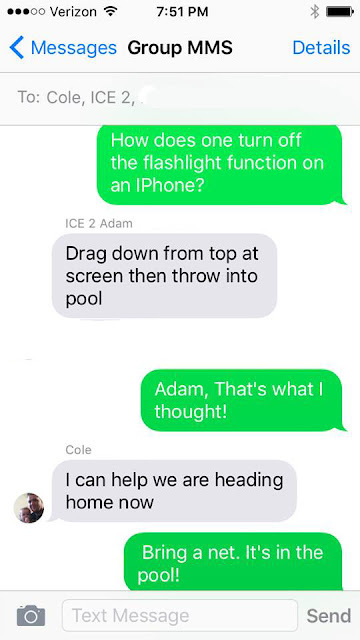 They teach me lots of tricks from the world of technology! Probably what I would do too! I would be using an ACTUAL flashlight so I'd have no need for this iPhone evilness. It was the middle of the day. The Iphone evilness came on by accident in the juggling of packages, mail, and evil cellular device!